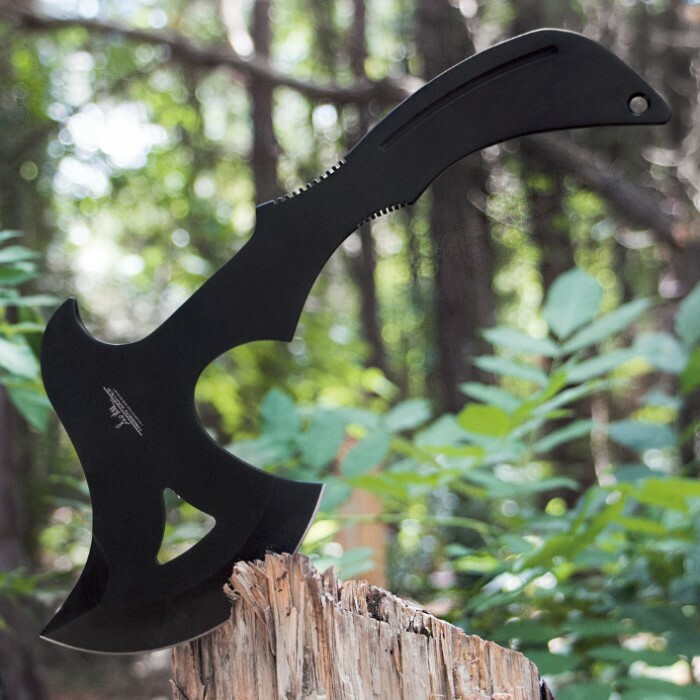 Designed by the man himself, this black edition of Gil Hibben's professional-grade throwing axe features one-piece, full-tang stainless steel construction with an attractive black oxide finish. 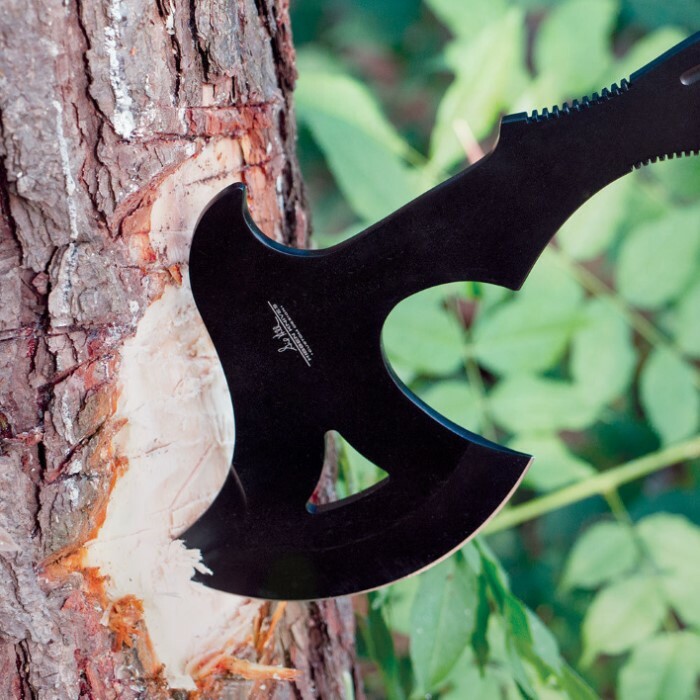 The curved blade is sharp to help make sure you penetrate your target effectively. 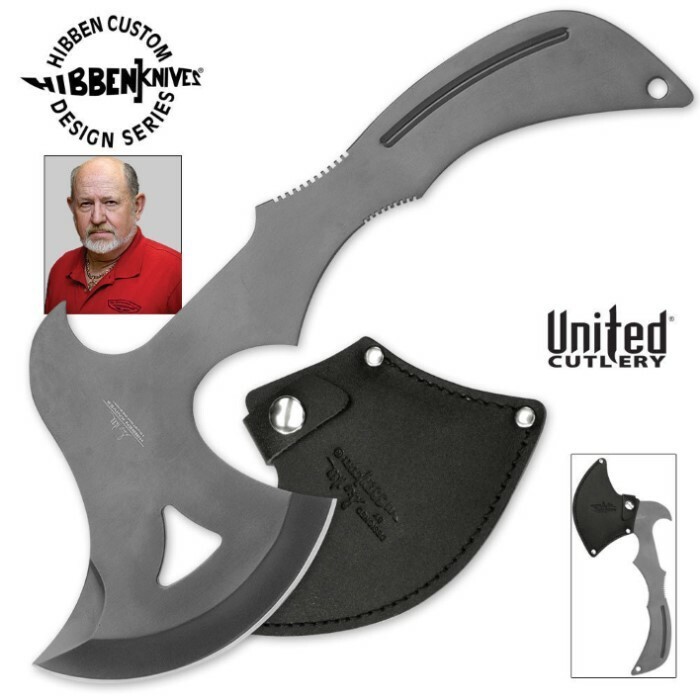 The unique shape of the handle provides a secure grip for improved accuracy, and the cut-out designs in the construction provide a well-balanced weight. It comes with a reinforced blade sheath for convenient and safe transport and storage. 11.75" overall length.